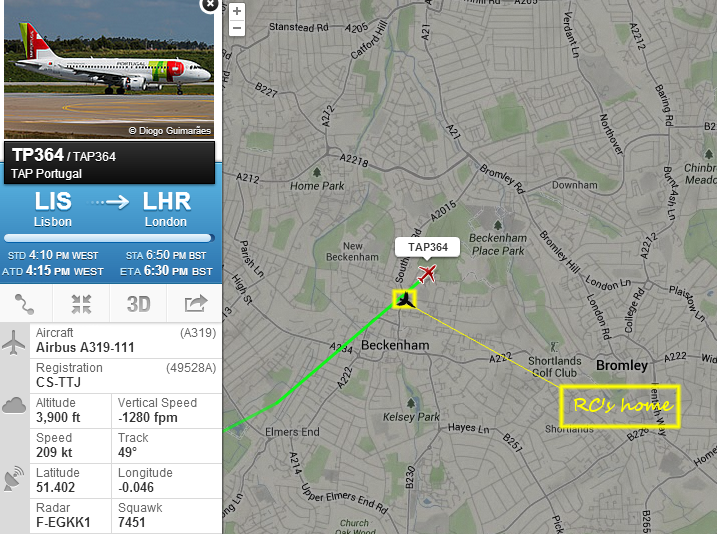 1734utc: Having flown overhead where I live, Armando’s a/c has safely landed at Heathrow and will be taxying to the stand as I type! 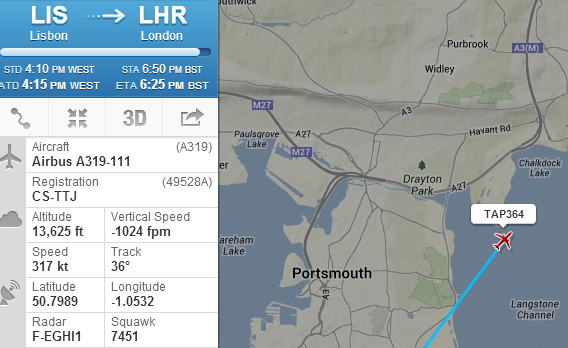 1712utc: Armando’s a/c just flew past Port Solent! 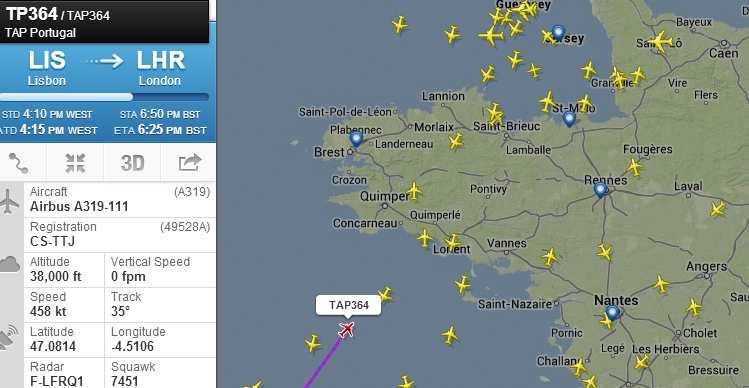 1644utc: In French airspace.. but not for long!! 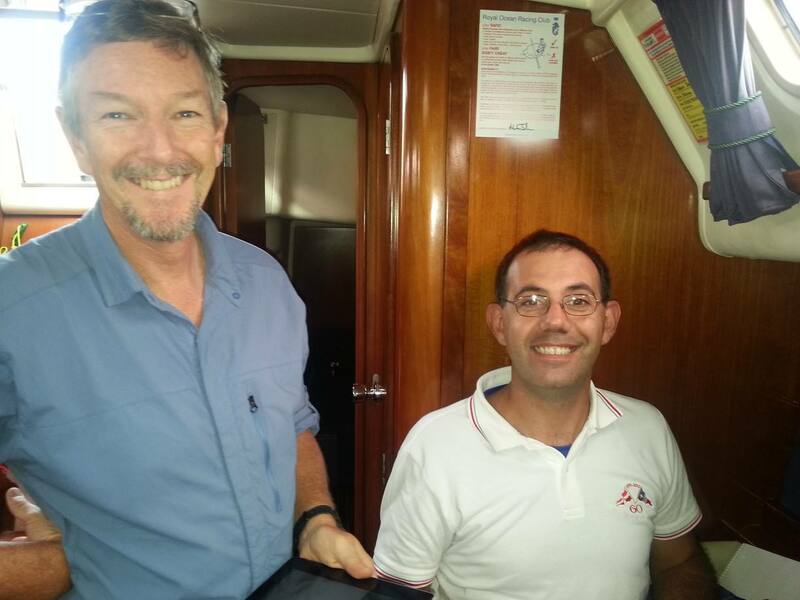 1545utc: Armando’s flight is one of few that left Lisbon on time today (if the Intl Airport departures board shown online is to be believed! 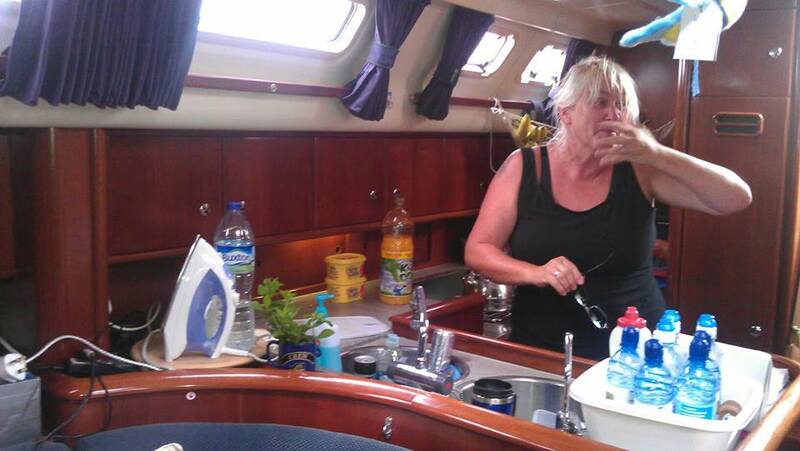 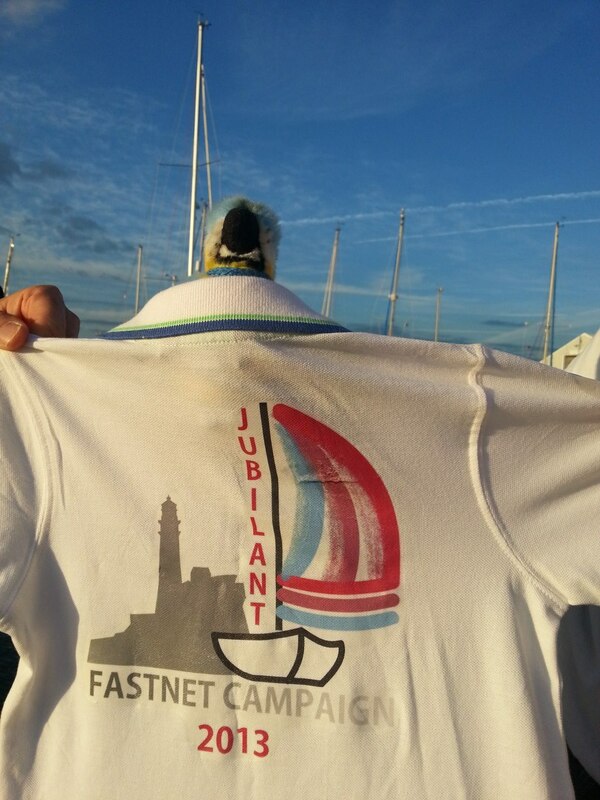 )… fortune favours the brave and obviously our Jubilant Fastnet Campaign SOLers are brave!! 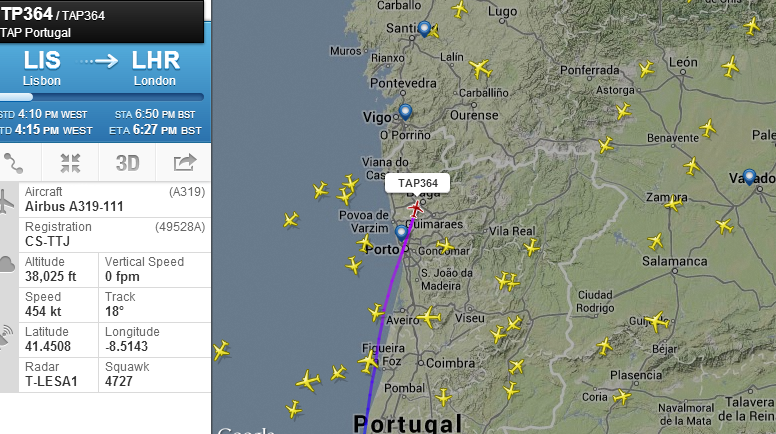 Who knows but SOLer Tarco who works in Air Traffic Flow Control may be (unknowingly) helping Armando to be on time!! 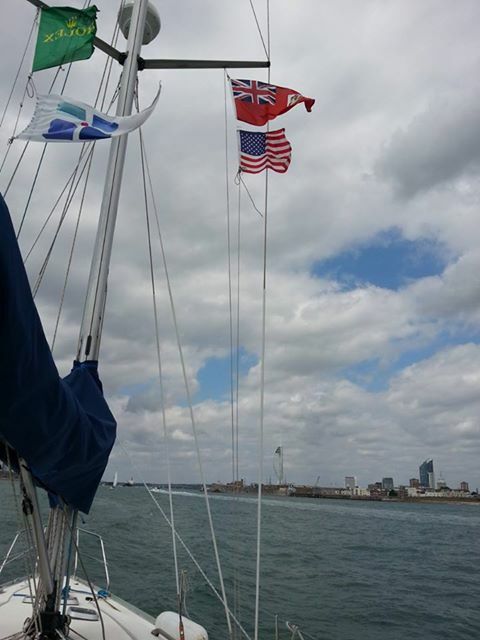 1306utc: Jubilant is flying the national flags of the crew on board so far and… observing potential competition! 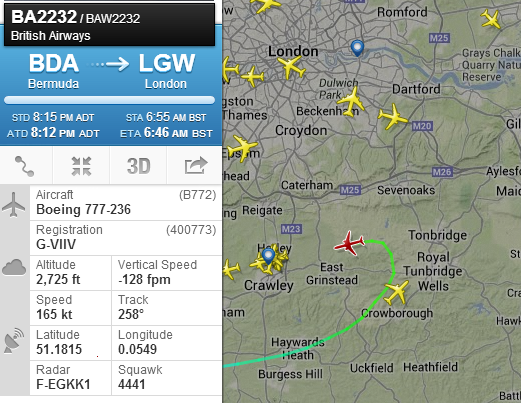 1256utc: Armando’s next flight from Lisbon to London (Heathrow) is due to take off at 1510utc (Lisbon and London are on the same local time) and is showing as “scheduled” so… all good so far! 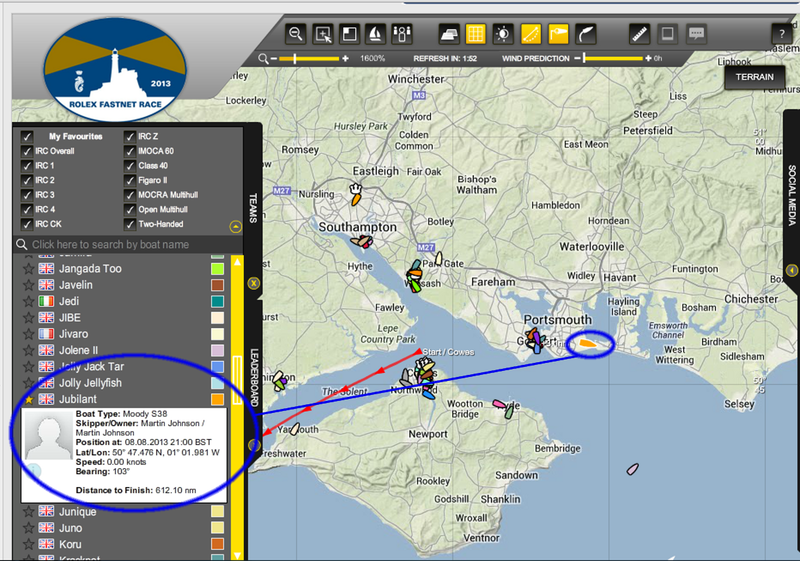 1233utc:Jubilant has now left Southsea Marina, her home port, and is heading round to Port Solent where she will overnight. 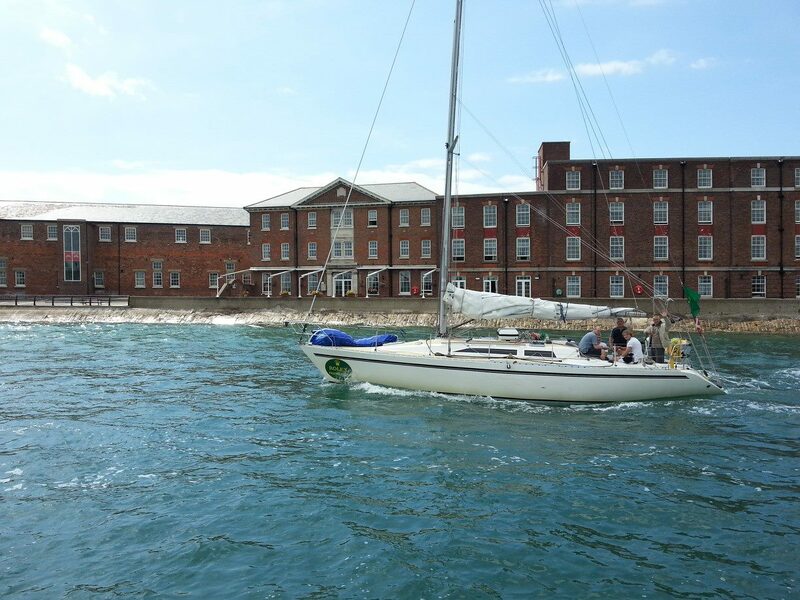 This is much more convenient for those going to the Skipper’s briefing over in Cowes this afternoon, and for tomorrow’s start. 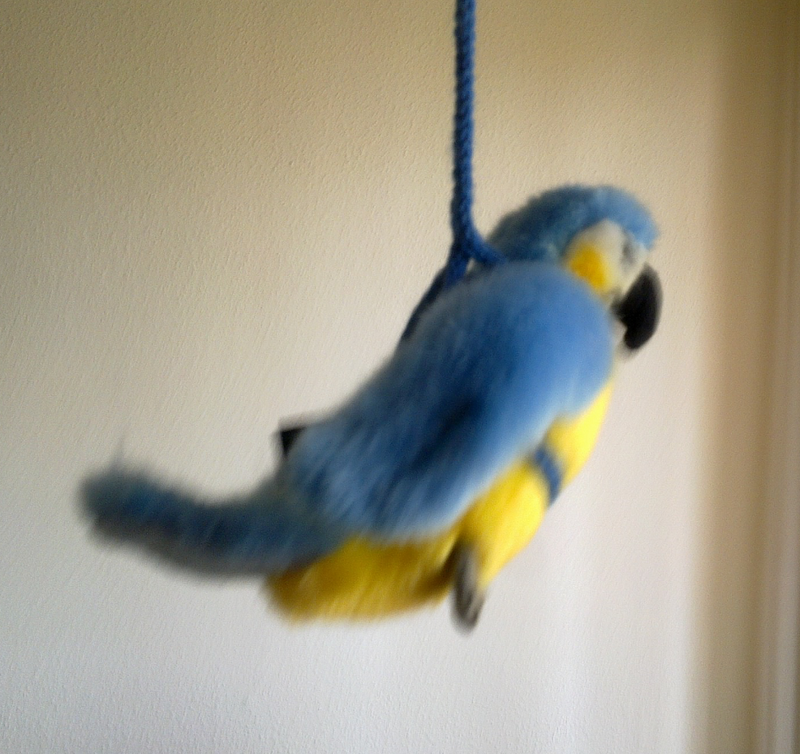 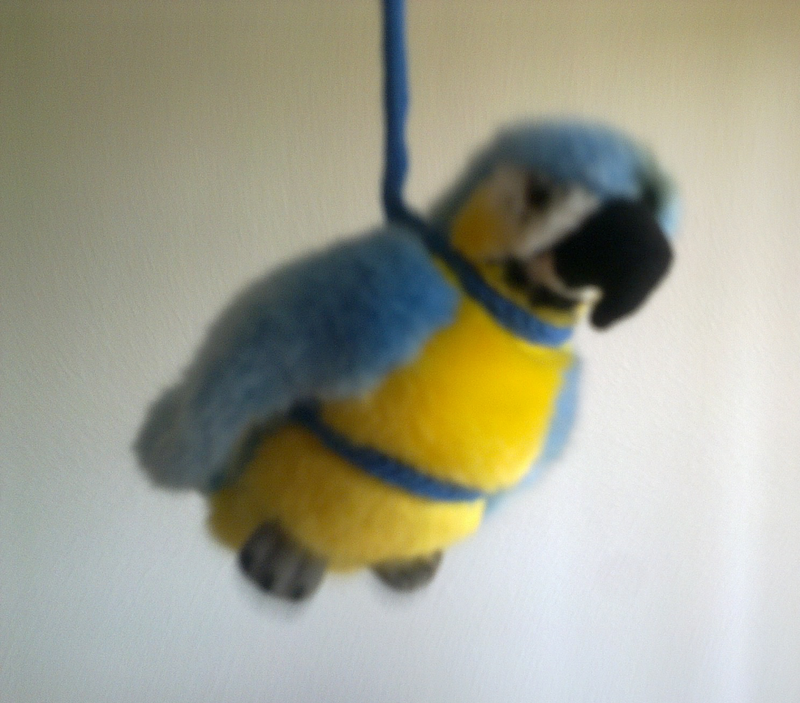 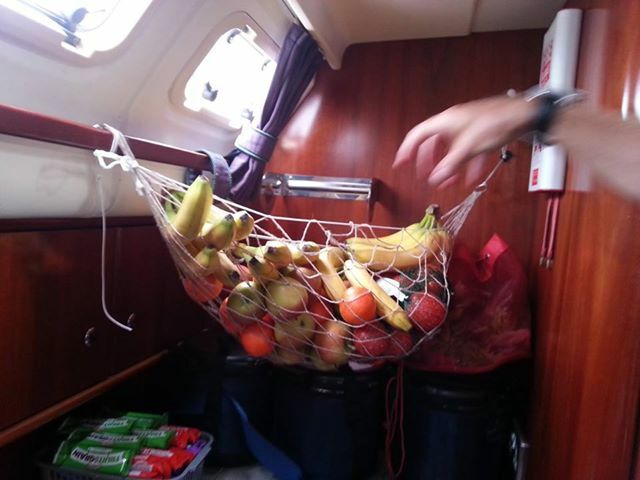 Jubilant will NOT have a scurvy crew!! 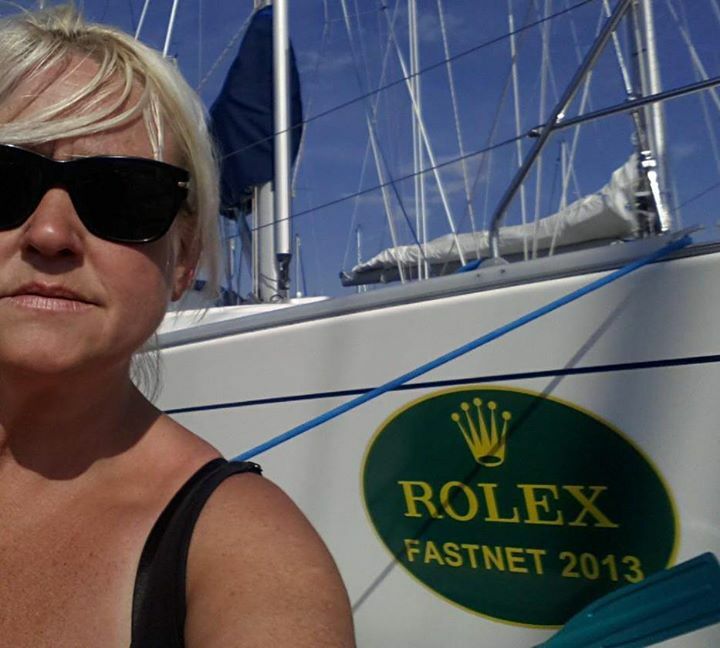 the quickness of whose hand deceives the eye, i wonder?! 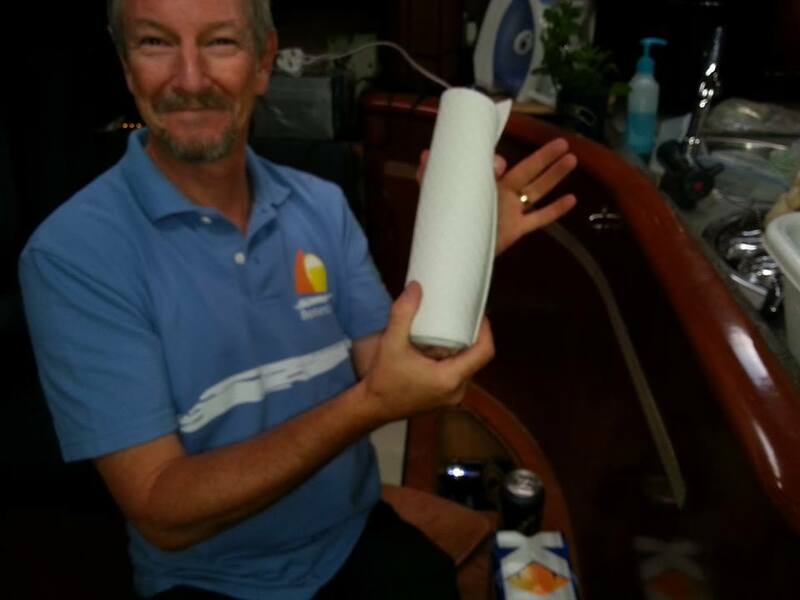 1208utc: some pics from on board – clearly going to be a crew with neatly pressed clothes if the “racing iron” in front of Sophie is anything to go by. 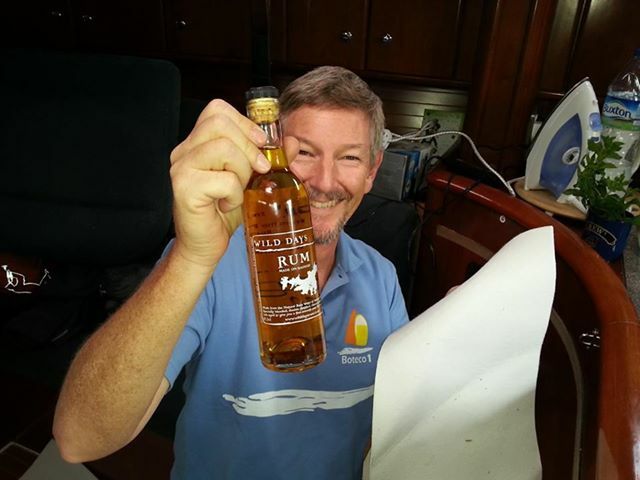 Gil and Jerry checking essentials and Tony makes doubly sure that the precious Wild Days Rum from NZL_yachtyakka on Waiheke Island, New Zealand, is carefully stowed! 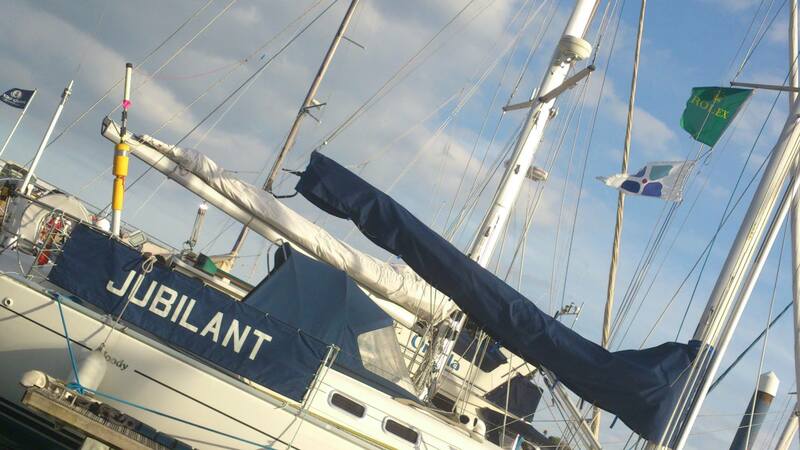 … and makes sure it is safely re-wrapped! 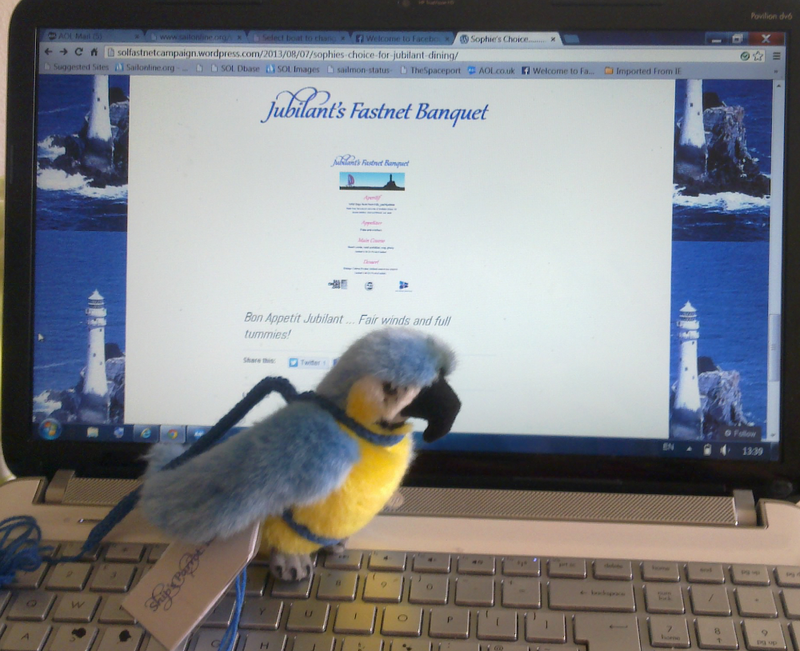 1023utc: – a new coverpage for Jubilant on Facebook – you can find us on FB at Jubilant Fastnet Campaign! 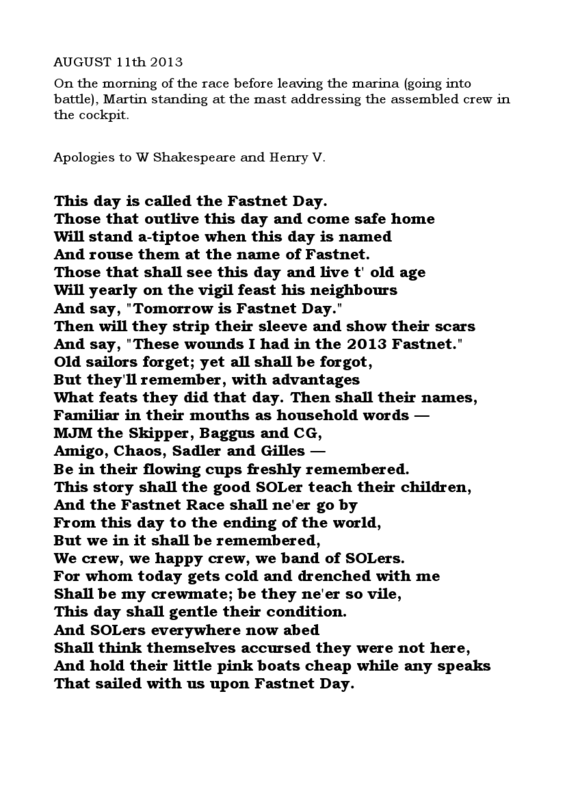 0828utc: Very clever re-wording of a classic by SOLer Tyger – Thank you! 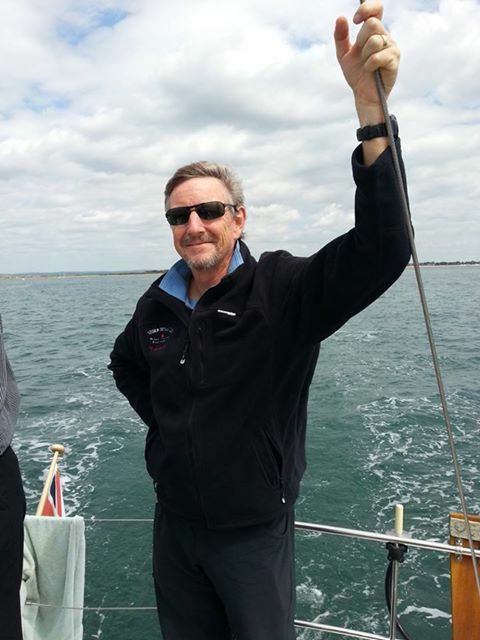 Due to a crook foot Tyger was banned from flying by his medics and sadly had to pull out of sailing the Fastnet as a member of Jubilant’s crew just a couple of weeks’ ago. 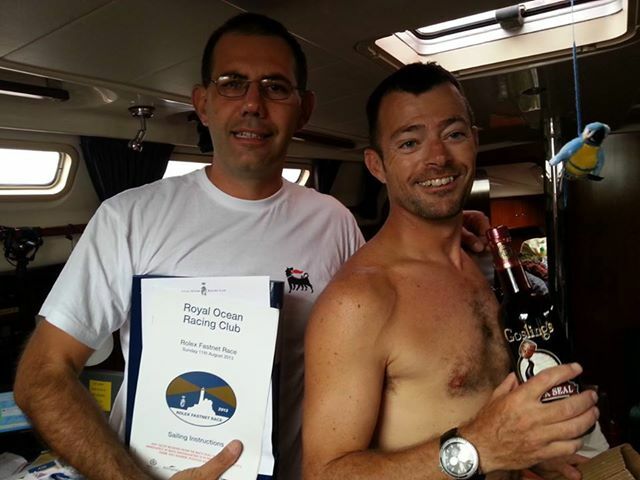 Maybe SOLers should start planning a Sydney-Hobart??!! 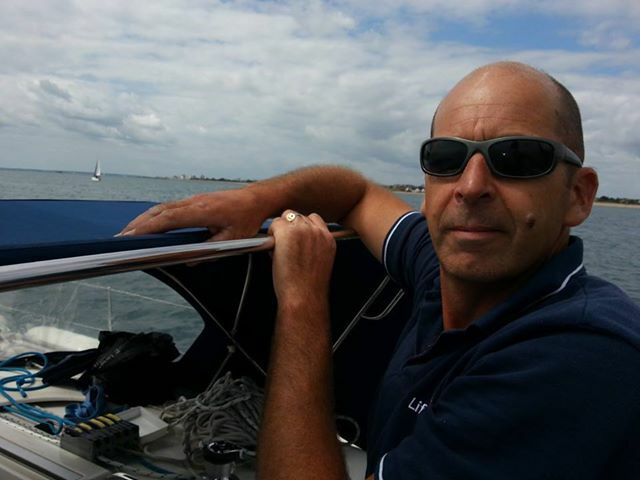 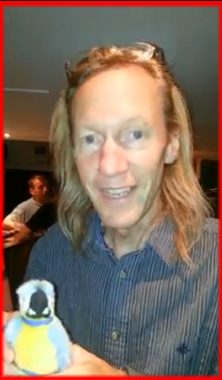 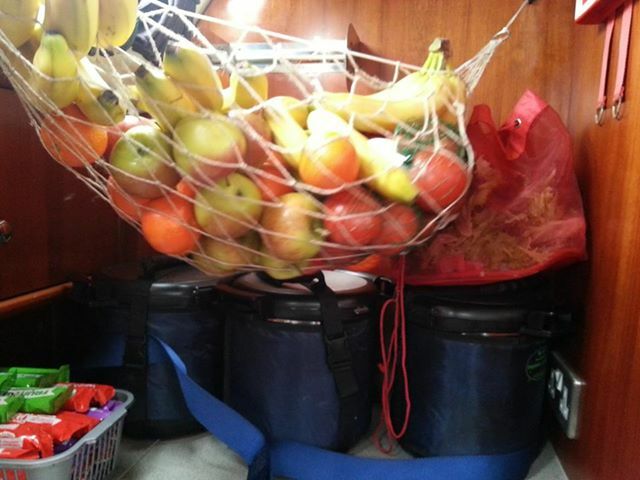 0735utc (approx time) – msg from Jerry (BER_Baggus) that he and Nigel (sadlersailing) were on their way from Gatwick!! 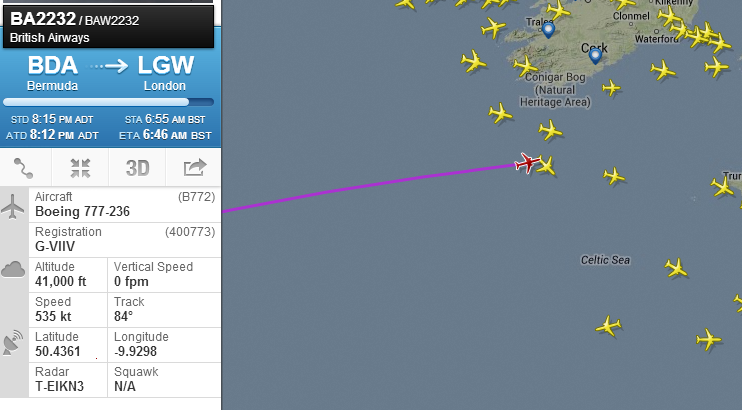 Jerry’s flight, BA2232, just S of The Fastnet Rock!! 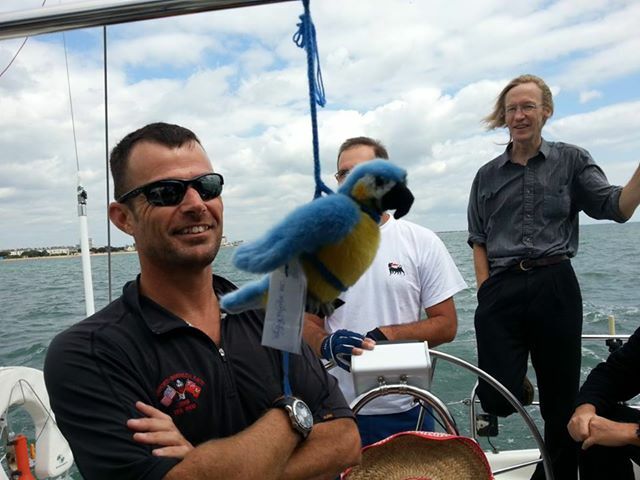 Armando’s flight, TP74, “feet wet” (i.e., over the ocean)!! 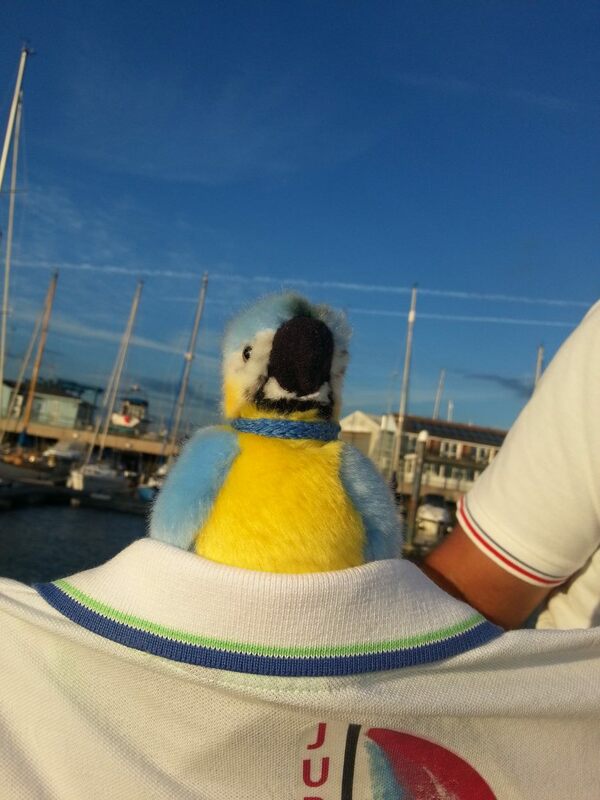 Ships Parrot “wearing” a Jubilant Tee!